Original reporting done in 2009 by Sydney Parker. Art is gestating in Long Island City’s Space Womb. The new gallery conceived by artist Jongwang Lee features installation art, interpretive dance and music inspired by the spirituality of the female uterus. Mr. Lee envisions his exhibition as a home for embryonic life, “where one can leave material reality behind and return to the Utopian world of the mother’s womb.” He hopes to promote his vision while fostering the growth of developing artists in the community. “It’s a little weird, but it’s nice to look at,” said Patricia Toranovich, manager of Court Square Diner located across the street. Diners enjoy cheese Danish and a full view of the gallery’s galactic “Space Womb” sign imposed on a jet-pack black exterior and swathed in tongue-pink swirls extending all the way onto the sidewalk. Mr. Lee credits much of the inspiration for his art to his grandmother who was a famous Shaman in Korea.“During my childhood I was deeply impacted by her performance and felt a strong contact with the spiritual world,” says Lee swooping back a mass of long, dark hair. Upon completion of his studies at prestigious art Universities in Seoul, Korea and Tokyo, Japan, Mr. Lee moved to New York, New York. He missed the familiarity of his birth country, but wanted to be reborn in the culturally and politically free American climate. His womb-themed art has been featured in group and solo shows throughout museums in California, Washington D.C. and New York. In June 2009 he opened his own gallery at 22-48 Jackson Avenue, LIC. Space Womb’s address has a reputation in the working-class neighborhood as a haunt for eccentric proprietors. The storefront church, Iglesia De Dios that previously occupied the space held raucous Wednesday night prayer meetings much to the displeasure of neighboring businesses. 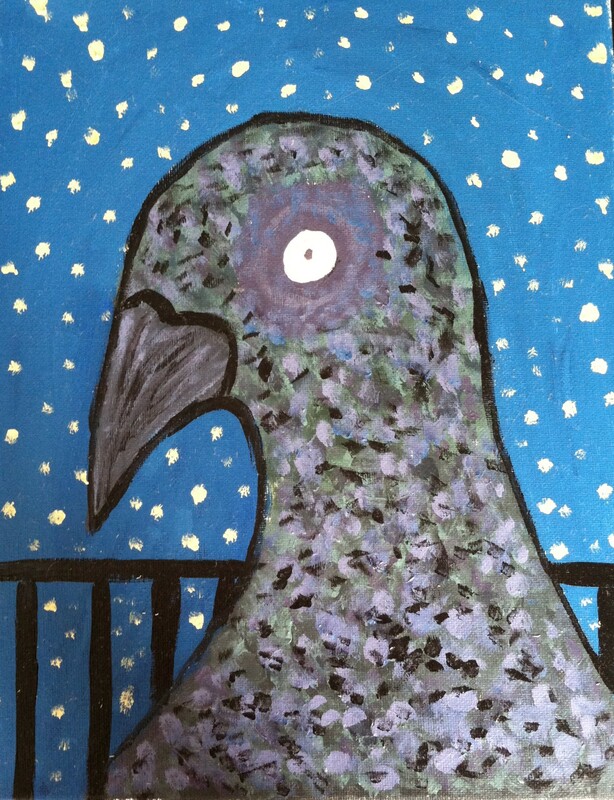 “They were singing and screaming late at night. I couldn’t stand the noise,” says Kenny Kang a sign constructor at nearby Eden Signs & More. The owner of the church was later committed to an insane asylum and the church sold to current landlord, Gregory Wolkoff. The businesses bounding 22-48 Jackson Avenue are relieved by the quietness of their new neighbor. Mr. Lee’s unusual gallery provokes more than a few eyebrow raises, but doesn’t disturb the ebb and flow of the hard working Long Island City citizens arriving off the 7 train zooming overhead. “I hope that my work encourages people to look within themselves and realize the unbelievable power of life and the dormant potential within each of us,” says Lee. 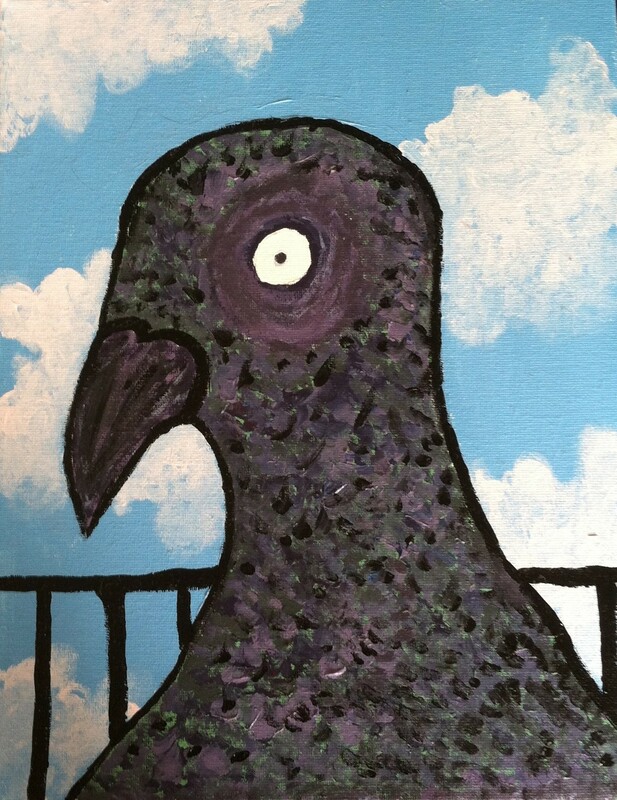 Mr. Lee is pleased with his gallery’s relatively soothing presence and hopes to continue infiltrating the neighborhood with his artistic and spiritual revelations. 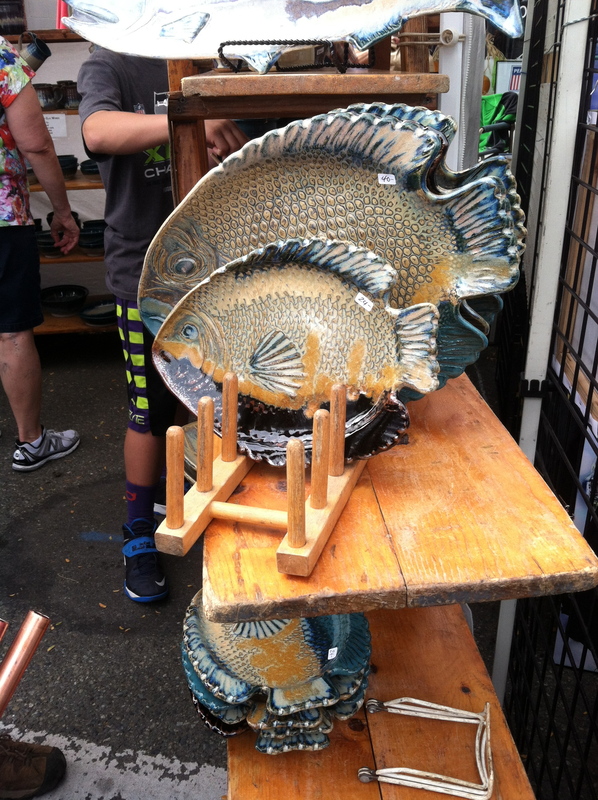 Fishy Family Fun at Salmon Days! The Spawn is ON. If you’ve ever wanted to do an anthropological study on the relationship between old hippies and wild salmon (who hasn’t? 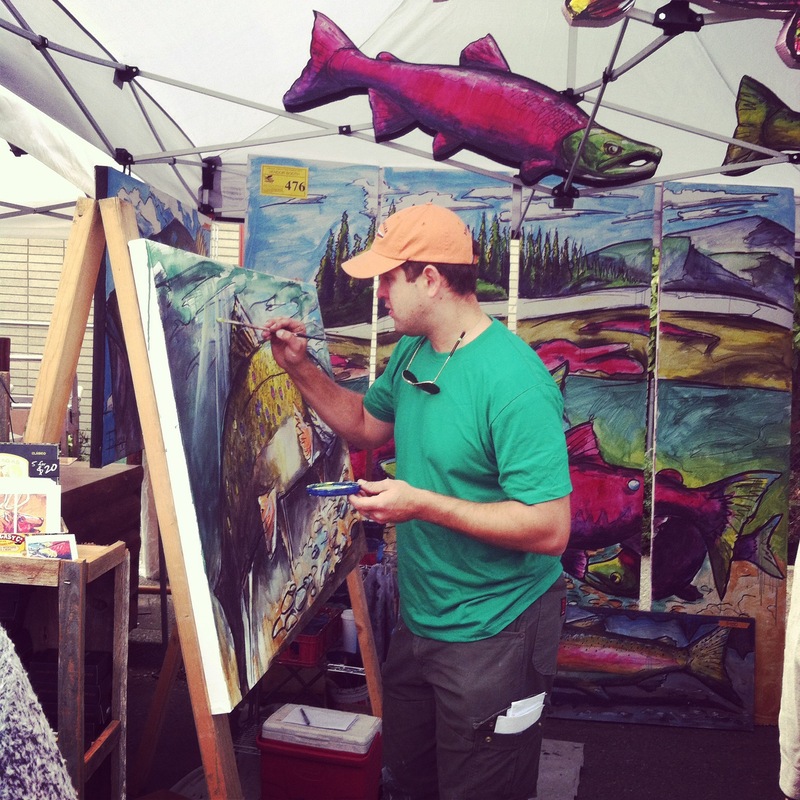 ), the Issaquah Salmon Days Festival is fertile ground for field work. I go each year with my family and enjoy “Fishy, Family, Fun,” that is “Spawnsored” by Overlake Medical Clinics with Friends of the Issaquah Salmon Hatchery (F.I.S.H.) and run by a dedicated team of “OhFISHal” volunteers. It’s truly a dream come true. The festival is chock full of one-of-a-kind artisan goods and folk art that puts Portlandia to shame. 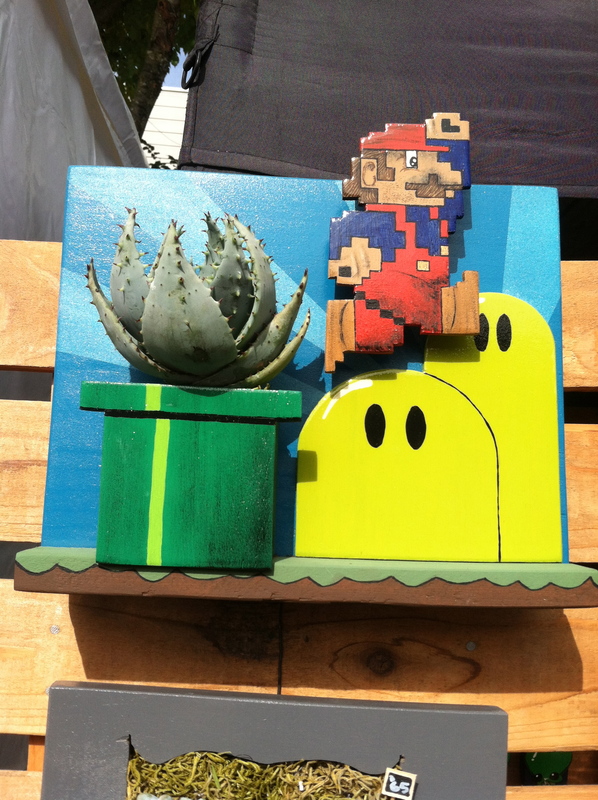 You can even get a cactus planter modeled after your favorite classic Super Nintendo game. What will they think of next? 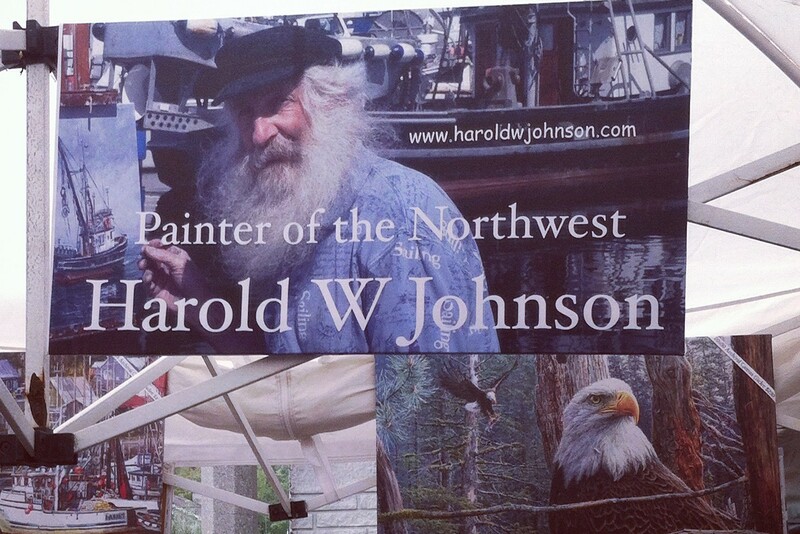 I think if one person could embody the soul of the Pacific Northwest it would probably be Harold Johnson. 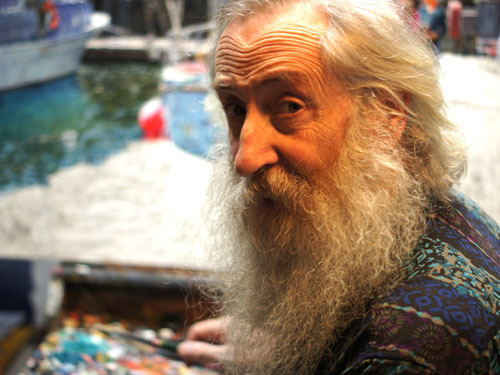 Harold Johnson is a wonderful painter who paints on site in a little tent at the festival. I hope that one day I can undergo a metaphysical, physical, sexual, emotional, spiritual transformation and become half the man he is. He’s worth checking out. Delicious culinary adventures abound across the festival. You’ve got your classic corn dogs, pizza, kettle corn, and elephant ears, along with samosas, ethiopian food, asian fusion burritos, and of course, salmon. Salmon Days is the perfect place to stock up on gifts for your loved ones. Especially Moms. Need a hand-painted platter with a picture of a chicken riding in a truck on it? Your wish is Debbie Dean’s command. 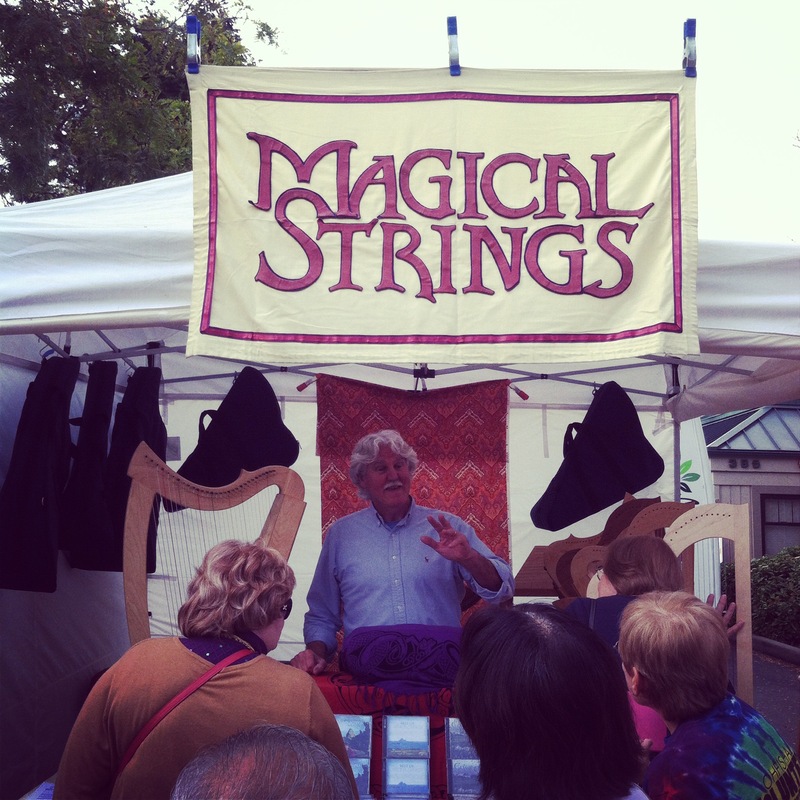 If you get tuckered out shopping and eating, you can always stop by the Magical Strings stand and take a breather with some soothing harp music. Now might be the time for you to finally by that harp you’ve always wanted. 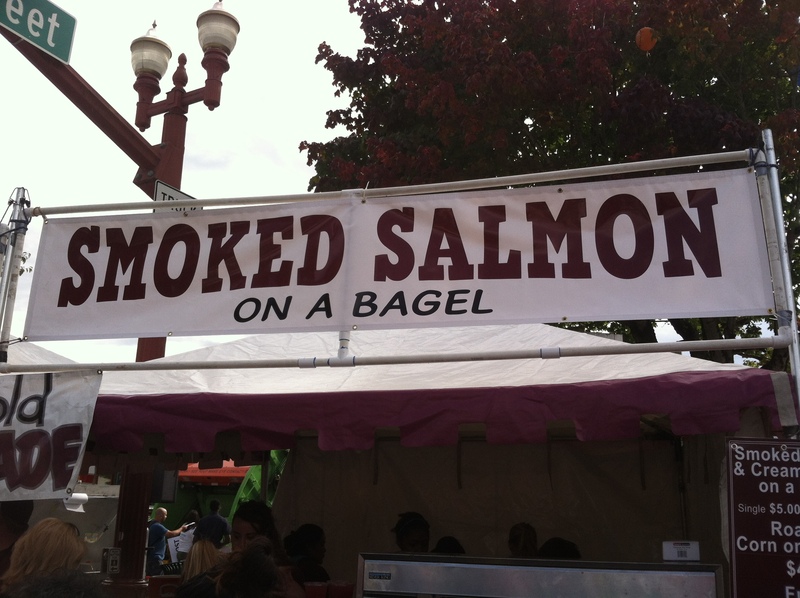 Salmon Days only comes once a year, so don’t miss it this year Oct. 3rd – 4th.